In our family, we did accumulate stuff, but from what people tell me, we weren’t alone in that. Accumulating stuff may be an innate human tendency. And perhaps it’s nowhere so evident as in America, nation of transients. I don’t think that’s a coincidence. Delving into my own family’s furniture foibles, I discovered a lot of things that no one had bothered to tell us … like the fact that one grandmother was actually a child in Apache territory; or that someone had saved and fondly labeled a photo of the uncle I might have known if he hadn’t been a Down syndrome child who died at age 12. Our family was military, going back all the way to the 1700s, and so for much of their history, they were constantly on the move. The quintessential transients, if you will, but our country’s history is a history of transience, and so where are we going to store our stories? We put them into the things a family saves … or into the things we accumulate. Right now, there’s the glass ornament with the swirls that my best friend from high school gave me … and the subtly colored spools of thread in a little flat box that another friend found in HER family’s attic … and the cloisonné bowl my grandmother Jeanne bought somewhere in Asia … and they are all sitting up over my computer and their colors mysteriously all match and intermingle, and they are telling their stories to anyone who will listen. Now. 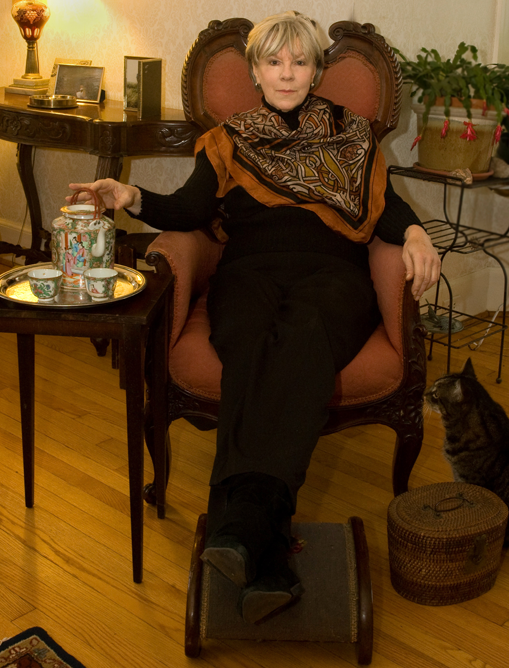 Objects of Our Affection: Uncovering My Family One Chair, Pistol and Pickle Fork at a Time is all that. Part memoir, part military history, it is also a meditation on why we Americans are so attached to our stuff. Check it out here. I’ll bet everyone in this country has a story lurking in an object. What’s yours? Objects of Our Affection is an ideal assignment for summer reading for AP history and English courses, with its conversational voice and its insights into the lives of military men and their families during the Gilded Age and the American Century. Students will find it accessible, informative and engaging. The book is illustrated in black and white. Supplemental educational materials are available upon request. For information, call 856-912-5279. To order texts for classroom use, click here. For more information, click on Table of Contents and About the Author. 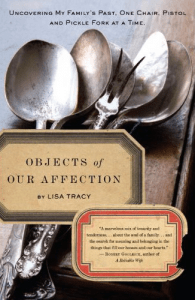 Objects of Our Affection is well-suited for reading courses including 19th and 20th century American history and women’s literature, and as supplemental reading for writing courses in creative nonfiction. Objects offers insights into the life of the Gilded Age and the American Century, and into the lives of military men and their families during the era of the building of the American empire. Objects also provides salient reflections on American material culture and its development.